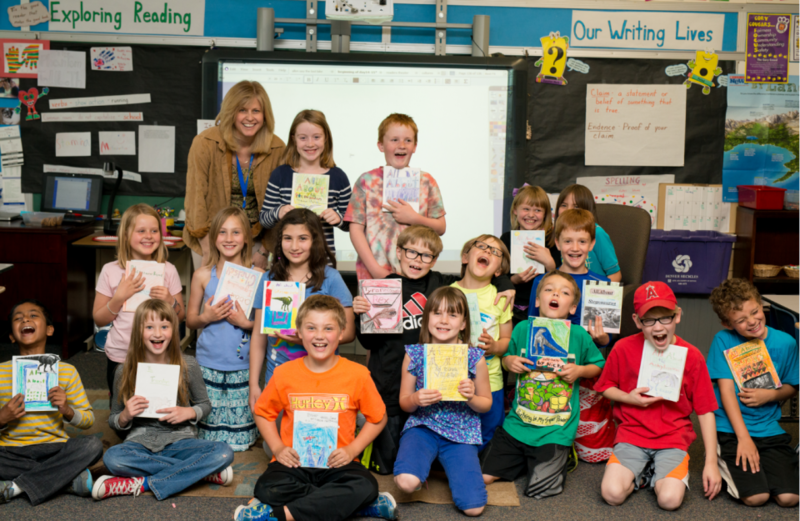 Students at Cory Elementary, which received the Colorado Governor's Distinguished Improvement Award, the John Irwin Schools of Excellence Award and the National Blue Ribbon School Award. Colorado Centers of Excellence Award — This award celebrates schools with an at-risk population of at least 75% that demonstrate the highest rates of student longitudinal growth, as measured by the Colorado Growth Model. Of the total 33 winners, 21 are Denver schools. Colorado Governor’s Distinguished Improvement Awards — These awards are given to schools that demonstrate excellent student growth. On the School Performance Framework used by the state to evaluate schools, these schools “exceed” expectations on the indicator related to longitudinal academic growth over three years. Of the total 128 winners, 15 are Denver schools. John Irwin Schools of Excellence Awards — These awards are given to schools that demonstrate excellent academic achievement. On the School Performance Framework, these schools “exceed” expectations on the indicator for academic achievement over three years. Of the total 168 winners, 13 are Denver schools. High School Academic Growth Awards – This award recognizes high schools that demonstrate the highest levels of student academic growth in reading, writing and math, within each classification used by the statewide association for high school activities for the sport of football. Of the total seven winners, three are Denver schools. National Blue Ribbon Schools — This award recognizes public and private elementary, middle and high schools based on overall academic excellence or progress in closing achievement gaps among student subgroups. Of the total five winners, two are Denver schools. ELPA Excellence Award — This award honors 10 districts and 10 charter schools that achieved the highest growth among English learners in an English Language Proficiency Program and that achieve the highest academic achievement for English learners who transition out of an English Language Proficiency Program. DPS was one of 10 districts to receive the award; eight of the 10 charters statewide to receive the award are Denver schools. To see a complete listing of all Colorado schools receiving awards, please visit this Colorado Department of Education webpage.